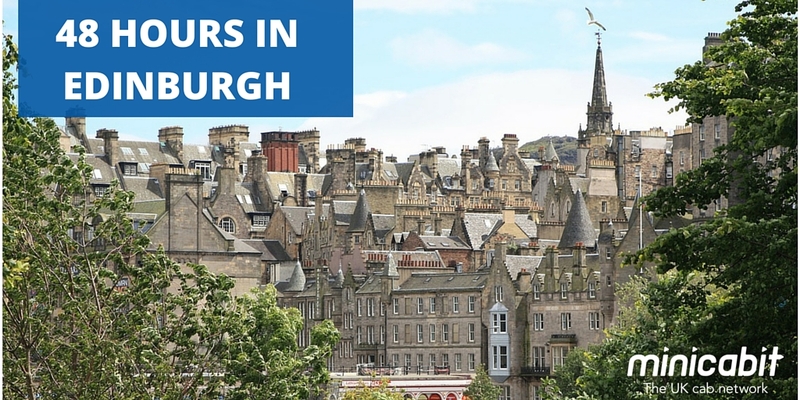 If you’ve only got 48 hours to spend in Edinburgh, here’s a must-see and do list of those essential, not to be missed Scottish city experiences. First things first – a decent breakfast to fuel all the exploring you’re going to be doing! Mimi’s Bakehouse, on the shore, serves up some mouth-watering breakfasts, from porridge to Full English and everything in between (Banana Butterscotch French Toast, anyone?). If you’ve got more of a sweet tooth, then you have got to try Mimi’s showstoppers – the cakes. There’s vanilla, red velvet, chocolate and so many more flavours to try and choose from, vegan and gluten-free options, cupcakes, cheesecakes, tray bakes… If it’s sweet, they’ve probably got it! For those who crave the Scandi-style of life, head to Hemma, a Swedish run pub that is perfect for those who love their home comforts (Hemma literally means ‘Home’ in Swedish!). Effortlessly styled inside, Hemma serves up a variety of delicious brunch options, and their Hemma Breakfast is bound to fill you up with a hearty serving of traditional Scottish haggis alongside the usual sausage, bacon, eggs, potatoes, mushrooms, tomatoes and toast. You’ll definitely need an appetite for that one! Don’t settle for high street coffee, once you’ve had a local brewed espresso made by the most passionate baristas, you’ll never go back. And Brew Lab mean business. With exposed brick and distressed features alongside huge leather armchairs and metal chairs, the place beams with an industrial yet homely vibe. With ever-changing filter coffees and espresso blends, Brew Lab endeavour to make you the best quality coffee you’ll ever have. If you’re in on a Sunday, don’t miss their theatrical syphon-a brew method, combining immersion brewing and stable temperatures to produce an elegant and aromatic coffee. Yep, these guys sure know what they’re doing! With Edinburgh’s hugely influential Fringe festival, you know this city takes it’s comedy and performance seriously! The Stand is Edinburgh’s flagship comedy venue with many of the world’s biggest comedy stars having shared the intimate stage at some point in its life. Local comedians, like Frankie Boyle and Kevin Bridges, will pop up to the stage now and then to give new material a whirl. The Stand also serves up some ridiculously good grub and refreshing locally made beer. This place should be on every comedy lover’s to-do-list. There’s no doubt about it, you simply have to visit this Scottish icon and marvel at the amazing view it offers from Castle Rock. The attraction focuses on the Castle’s rich Royal and military history, with the large open square outside accommodating the Castle Concerts and Edinburgh Military Tattoo in summer. Inside the Castle are multiple attractions, such as St. Margeret’s Chapel, supposedly the oldest building in Edinburgh, dating back to the twelfth century, the fine rooms of the Royal Palace and the Prisons of War, located in the depths below the Great Hall and Queen Anne Building. Tickets for the day are £16.50 for adults and £9.90 for children. Get organised and book a cab ahead of time to avoid waiting around and make the most of your limited time in this amazing city. The Rugby World Cup 2015: minicabit has you covered!